At this passage of our ascension journey, we find ourselves finally embodying and recognizing our galactic nature, eons ago dimmed by many manipulative beings and their desire to make us fall into the illusion that we are powerless humans governed by outer forces. It is at this phase of our ascension journey - where we are still navigating through the 4D portal to our new 5D dimensional space - that the releasement of all the attachments that still impede us to fully embody our 5D essence, is essential to expand within higher horizons. It is precisely during this passage, where one must only focus on the inside, instead of allowing outer distractions to manipulate us. At this unique time, we will have a macro major alignment which will open a stargate for us to embody its healing codes and star wisdom. As you may know I have shifted from sharing about traditional - and in my view limited astrology - to what is happening beyond the physical/micro scenes for us all, although I consider all important, for All affects us. However, I will no longer share about the astrological alignments whose meaning will rarely vary. On the contrary, I was guided to include what is new, for everything is constantly changing, and share about the alignments that are beyond our micro planetary system. On October 19th we will have a New Moon at 26 degrees of Libra, this is a shifter Moon, and even more with the potential coming from the alignment between this Moon and other stellar forces, for it brings the required cosmic assistance for us to become the change we are so eager to see in the physical. As you know Libra is all about relationships and balance, exactly where we are now, bringing unification to all the aspects/polarities within us that are still being separated by our 3D egoic self. It is a time now to go beyond this meaning of bringing balance and see what will occur on this day with new eyes, for this doorway brings expansion, a higher contact as well as the opportunity for unification. At this day, the Moon will align with two powerful Forces outside our Planet - stars Arcturus and Spica. For the New Moon will occur in the Virgo constellation, whose main star is Spica, which resides also in Libra. On the other hand, we also have star Arcturus residing in Libra and being very close to the Moon too. These are major alignments taking place in a very specific time, when certain stars/planets reunite again, in order to create certain cosmic portals to align with our time/space planetary zone so their cosmic codes can be directed into our Planet. This will last for at least one month as it is well-known by portal openers, as well as gatekeepers, or even the ones who travel, in the astral, when they have to go to a certain location within this or another galaxy. These cosmic codes sent from specific highly evolved civilizations, are the ones who we need to embody in order to keep integrating/awakening our galactic essence, for we have always been cosmic beings, never meant to be disempowered or mere puppets. As this New Moon together with Spica is also influenced by Uranus, experiencing a higher opening and breaking free from our fears and self-doubts will be easy if we know how to align with this constructive frequency for Uranus's essence simply Is, and it is not meant to destroy but to build, remake and transmute. This is a very good moment to ask yourself if you have created within - and in your life - the changes you felt guided to or if you are still choosing to get attached to a certain belief, substance, and/or person. Everything and everyone you keep in your life by egoic force creates chaos, not the one required to create, but the ones meant to destroy yourself by keep focusing on what is not meant to be and occur by a Higher Intelligence. From the micro to the macro, these frequencies are meant to help us in this quantum leap as we keep crossing the final steps to our new timeline. If you still need to break free from more old layers of your 3D personality, then the planetary energies from this New Moon and its alignments with other planets will help you to do so. If where you are is in need of healing and you need assistance to the proper embodiment of your 5D self's essence, then you would prefer to set your purest intention to be aligned with the macro frequencies descended from the Arcturian portal that again can only occur due to all the planets/stars involved making a special formation. 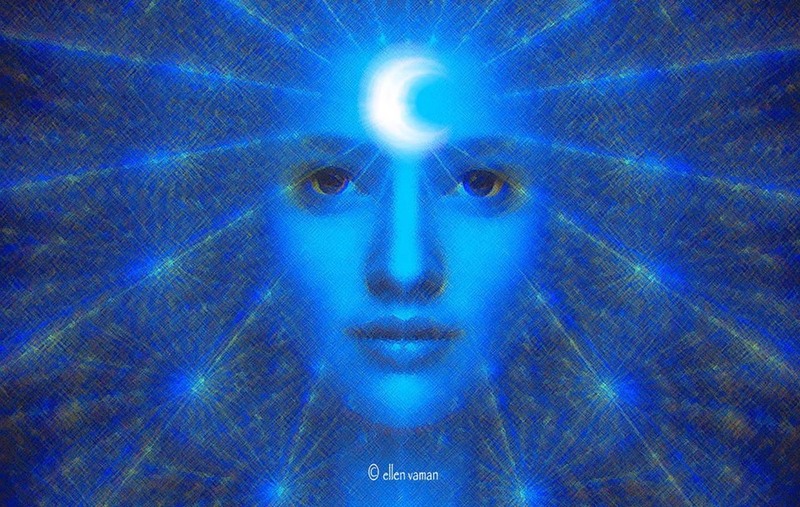 Arcturians offer us their 5D pathways or corridors - residing in sacred sites of Earth or built during meditation or conscious dreamphase - for us to align with their frequency and be transported to their healing chambers where we could be energetically assisted to rejuvenate and heal, for where we are going we first need to be totally pure of anything that still keeps us fragmented. To be able to connect with them and their fifth dimensional corridors, one simply has to hold a pure intention to connect with their own 5D frequency as well as to visualize in their unique way a bridge towards a higher timeline. You can also visit any sacred place near you, while you consciously call upon their assistance, at the same time that you create a visualization where you are transported into this 5D pillars of light. As you are your own master and healer you will find your unique way in doing so, remember that what may serve me or others may not serve you. Above all, remember that your higher guidance is your Unified Self and that it is not an outside being or force but it is You, reside within, and is at all times available to assist you. These 5D pathways are not just to be able to receive their healing assistance but also are there for the ones who have the conscious and pure desire to reconnect themselves to the fifth dimensional frequency that we are anchoring in both within and in our Planet. As you may know, there are different stages in the ascension path. While some people are beginning to awake, others are still residing in the 4D portal or Earth and/or beginning to anchor/bridge their 5D self, as it is the case of the ascending souls or starseed ones. However, that you have an earthly origin does not mean you cannot be able to step out of the reincarnation cycle that still occurr under the 4D and anchor a 5D frequency within, this is why we are being assisted by many benevolent beings who are already dwelling in higher timelines outside our time/space zone, to reawaken our galactic lineage. As I often say, neutral observation, is essential to be able to zoom out of our personal interpretation of reality and of who we are, as an individualized aspect of Source, and begin to observe - from the lack of judgements of our eternal consciousness - how we still create self-imposed beliefs that impede us to move forward. For this is what keeps us to integrate these new cosmic codes. Often we create our own mental programs, limited and fixed ideas about who we are or about how things are or should be, not even aware of the fact that by doing so, we are impeding a Higher Truth, as well as consciousness, to be embodied. Negative self-talk is another form of self-programming and how we are creating energetic barriers that act as a shield to all the blessings we are meant to receive, why? because we believe we are not worth it of having limitless abundance, authentic relationships etc, and yet there is another why question in the air of why someone would not want to accept all this goodness. Well, there is another unconscious but very real program running within our mental and emotional bodies, which is the one of punishment and guilt, this is the worst frequency we can hold within, for it is the opposite of our True Nature. This is what occurs when humanity still have not cleared alien and self-imposed negative programs, and why is pivotal that at this phase, we finally become aware of it and begin to dissolve an old self that was manipulated and controlled and that always served us to realize who we really are in Essence, and who we are not. For the proper self-liberation of all that we still give our power to, as well as the healing required to allow the embodiment of our 5D self, it is pivotal that we first synthesize and heal our 3D parallel selves and their influence, for the majority of times, especially if your United Self is using parallel incarnation as a way of accelerating our ascension, we will be deeply influenced by other selves that existing at this moment, even within this earthly plane, could affect us in our own journey, for even if we created the illusion of being an individualized aspect, they are One with us and the echoes of their acts and own process will have a profound impact in our own healing process. It is precisely because of this that we should observe whether our present actions, thoughts and feelings are coming from our own self, or if it is coming from past and/or parallel selves that are not yet being called Home, or that are having their own experience, which affects us without being fully conscious of why we are literally robotized to perform certain acts, even if they go against our own soul desires. Sometimes these people do not possess karma, but there are other aspects of them, who are incarnated at the same time/space zone who does, and need to be commanded to allow them to experience their our own individualized mission and human experience, without their influence. As you know, each one of you is unique, so we all will experience physical sensations where your body possess more blockages due to old wounds/programs and so on. I just share the most common ones, some that I have experienced myself, in case it can be of assistance. As I always say, our bodies are constantly speaking to us and we are the only ones who can really know what is going on within. Furthermore, remember that physical sensations, are a manifestation of our conscious decision and natural process of our ascension journey, taking care of ourselves instead of only focusing on how hard this is for us, will help us to release them instead of keep feeding our physical discomfort. Heavy sleep - due to the effort that our human body is making to release more density, which is why the body needs to sleep to be able to heal and rejuvenate. Pressure in the crown chakra - this is due to the shift our higher chakras are experiencing when descending more Light from our I AM Presence, as well as from the cosmic codes we are embodying/decoding. They are adjusting themselves to a new and higher state. Anxiety and panick attacks - as always they come from not being totally focused on the present moment, as well as to the attachment of the lower 3D self to the old ways of living. Stomach issues - they often occurr as we detoxify our body cells and as the new frequencies are consciously integrated for the purpose of cleansing our physical and non-physical bodies of all the past burden. This gateway will be a great gift for the ones who have chosen to change from within to without all that is obsolete and that is impeding them to step into a higher timeline. Change sometimes comes when we are ready to confront our shadows and our soul awake us without us being even fully aware, for it knows we are ready to begin a new phase of our human evolutionary journey. Other times, change must be created from within in order to be the catalyst of this shift. If you feel change is what you need, then these frequencies, if well directed, will assist you to create the proper transformation required for you to dissolve the old. Change is not coming from the outside, for it should be created by being fully conscious of how are we going to direct this destructive, and at the same time constructive, energy. Become your eternal witness, observe where you are fixed in an idea, in a feeling or in something that happened that you still keep recreating in the physical and that is impeding you to expand yourself. Ask what change you would like into your life and how you could bring it into form, remember that first you must find within what is causing this constant repetitive pattern in the outside. If you would like to bring change into your relationship, for you are feeling lack of unconditional love, then ask yourself if you love yourself in this same way. If what you wish is more abundance, and you are frustrated not knowing where to find it, then you are still not recognizing the limitless and abundant creator that you are, for you still remain in lack, waiting it from the outside, for someone else to produce it for you. As conscious beings, self-observation will give us the opportunity to determine whether we are heading into the timeline we have consciously chosen, or whether we are yet blind by our own delusions. It is a very important phase of our ascension journey, Beloveds. Ascension is not something that is granted to us from the Heavens, it is something we already have within and anchor in the physical by conscious integration. This is not done by asking outside Forces or simply reading or acting, but by BEing and go beyond our human boundaries/illusions to create this cosmic synthesis with All. We are not going to become galactic beings. We are already cosmic beings beginning to reactivate our ancient stellar memories and abilities, long time closed by manipulation and the consequent outcome of remaining unconscious. We are already reawakening who we always have been, something that it is first done by beginning with the unification of our inner polarities, dissolution of an old self and its old programs, so we can be able to descend and anchor a higher state of consciousness within this physical body. For real mastery and ascension occur when we are able to evolve in the physical, when we remember, when we consciously bring the wonders of the Above, Below, as after all, one can only ascend in an earthly plane, for the higher aspects of us are already evolved and need no evolution, only the lower aspects of us need to learn how to dwell within Divine Love. I wish you a blessed stellar passage Beloveds! May you always choose to remain in the illuminated Presence of your Soul - always in light, bliss and love with All. Artist of the photo: Ellen Vaman.